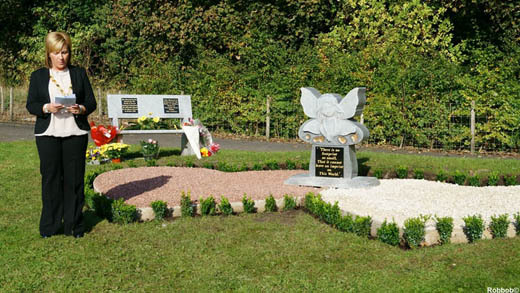 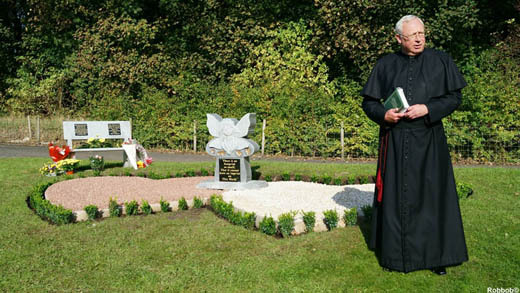 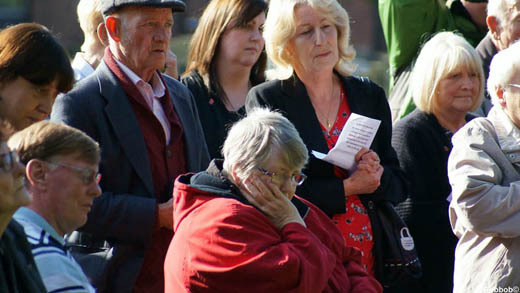 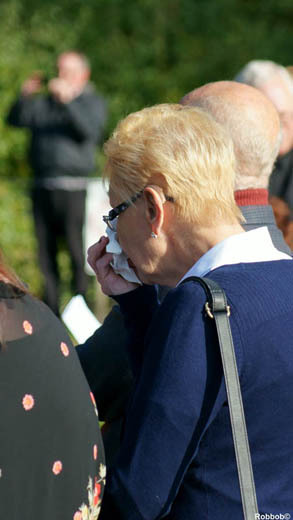 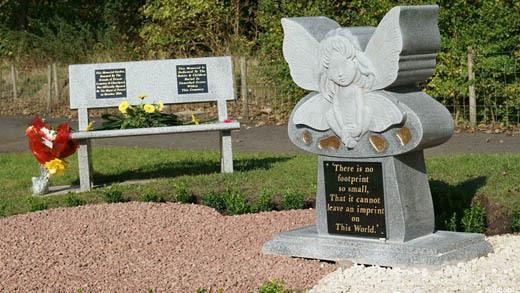 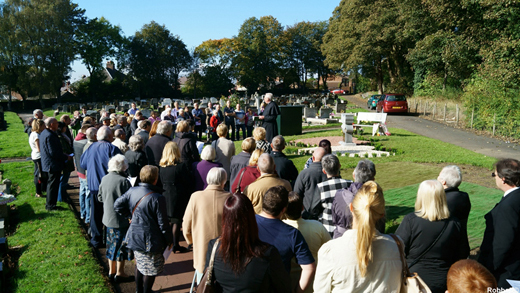 In October 2014, the Friends of Prescot Cemetery & Churchyard, with help from Knowsley Council, created a memorial garden to remember the many children, and stillborn and newborn babies buried in unmarked graves on the site. 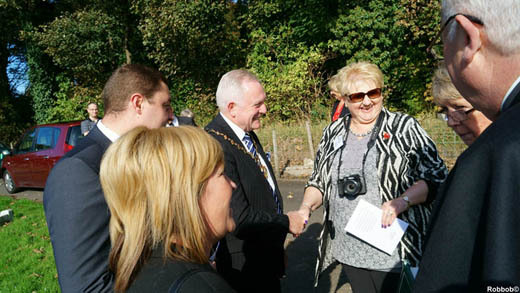 Many thanks to Robbob from Fingerpost for sharing his photos of the dedication ceremony. 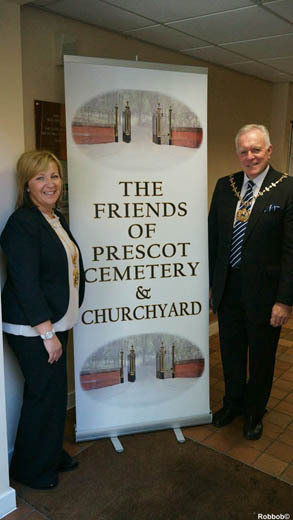 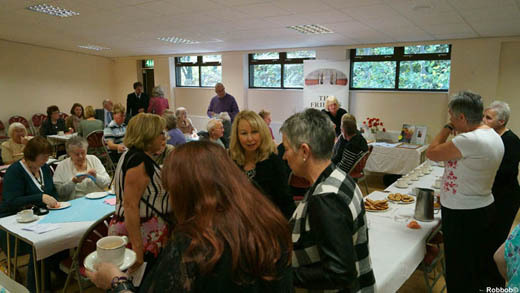 The service was led by the Vicar of Prescot, Reverend Canon John Taylor, with contributions from the Mayor of Knowsley, Frank Walsh; the Mayor of Prescot, Gillian Flatley; and FPCC Chair Viv Frodsham.